“He did this so that all the peoples of the earth might know that the hand of the LORD is powerful and so that you might always fear the LORD your God” (Joshua 4:24). 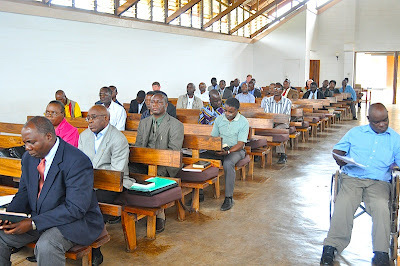 The Zambian Baptist Historical Society (ZBHS) held its 2nd Annual General Meeting on Saturday, 10 March 2012, at the Baptist Theological Seminary in Lusaka. The current ZBHS chairman, Paul Mumba, led the meeting. In this blog post, I will report on a few highlights from this event. In other words, I will skip the boring administrative stuff! Rev Misheck Zulu shared from Joshua 4:1-7, 24. He emphasised God’s concern that despite our short memories we should still remember his mighty works in history. God knows how we think and so he instructed Joshua to put up the memorial. This shows us the importance of history. Therefore, we too need to put up such memorials to remind us of God’s faithfulness and grace to us as Baptists in Zambia. We have a multi-generational task. We need to inform generations yet unborn about our God. Rev Zulu urged all of us to renew our commitment to the avenue that this Society gives us to secure the memories of the Lord’s grace to us as his people. Later in the program, Rev Thomas Lumba gave the historical presentation. I always look forward to this because it is what the ZBHS is all about—history! 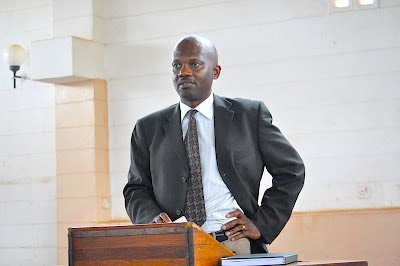 Rev Lumba told the meeting that he was inspired to write about the history of Baptists in Zambia by the doctoral thesis of Rev Saunders that he found in the library of the Baptist Theological Seminary when he came to study there over twenty years ago. 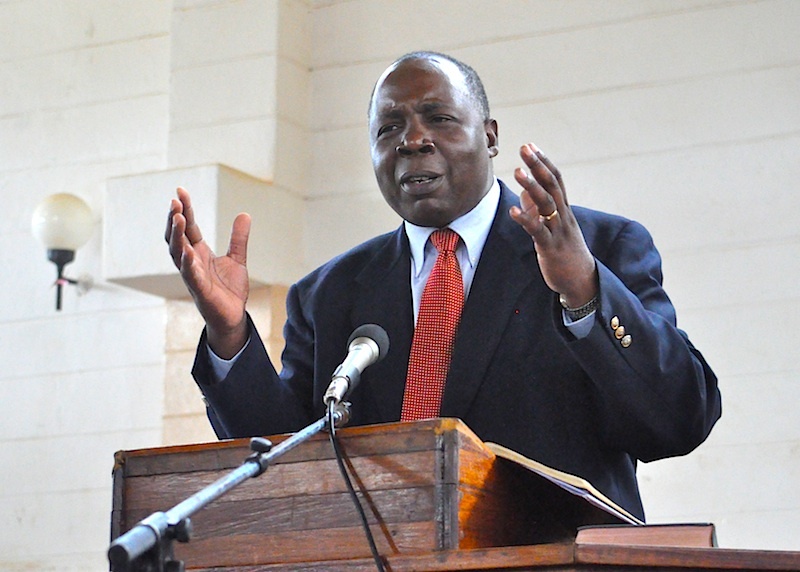 Rev Lumba spoke of the early Baptist work in Zambia, which was started by the British Baptist missionaries in 1905, followed by the Australian, South African, and Swedish Baptists. He then spoke more specifically of the start of the Southern Baptist work in Zambia after 1957. He gave the background of what happened in Southern Rhodesia, which finally gave birth to the work in Zambia. The first Southern Baptist missionaries were Tom and Mary Small, and Zeb and Evelyn Moss. He mentioned the fact that when these missionaries initially came their aim was to start schools and health centres, but when they arrived on the Copperbelt they were moved by the number of lost souls and hence they commenced church planting work instead. At that time, in 1960, the missionaries in the Congo were suffering persecution and many had had to leave. Some came down to the Copperbelt and their stories of horrendous suffering melted the hearts of their fellow missionaries. They also contemplated leaving until Ecclesiastes 11:4-6 strengthened them: “He who observes the wind will not sow, and he who regards the clouds will not reap.” Hence, they proceeded with the work that we are all beneficiaries of. Rev Lumba highlighted about eight lessons that we could learn from the missionaries and indigenous leaders from this early period. Some of the lessons included recognising the prior work of others, focusing on church-planting, accepting separation from brethren for doctrinal reasons, recognising that our wills may not be God’s will, learning the local customs and language, recognising the strength of team work, depending on God through prayer and study of God’s Word, and involving local leaders as much as possible. These lessons were evident from the historical narrative he shared with us. Rev Lumba ended with the story of a young missionary wife, Thelma Kite, who was tragically killed in a car accident on 13th October 1970, barely six months after arriving in Zambia as a missionary. He urged Baptists present to honour such lives because it was due to their sacrifices that we are where we are today! 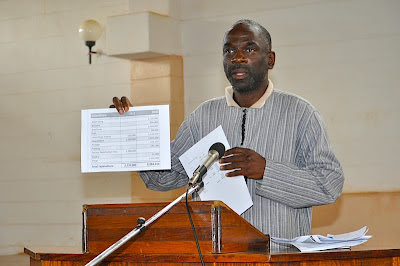 In the chairman’s report, Paul Mumba informed the meeting about the donation of Trekking in South Central Africa by Clement Doke, which was being sold in order to raise funds for the Society. We were also told that the Society organised a day of historical lectures in Kitwe last December. 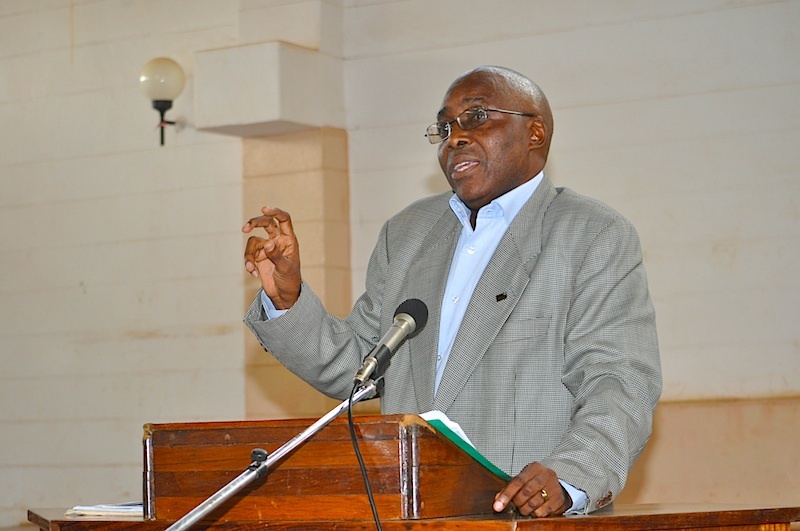 Similar days of historical lectures were to be organised in 2012. The chairman also talked about the visit of the leaders of the Society to the place where the first Baptist work commenced. He ended by appealing to those present to renew their membership, donate towards the projects to be undertaken by the Society, and to deposit any documents of relevance to Baptists with the Baptist archives. I had the privilege of presenting a five-year project proposal for the ZBHS to adopt. 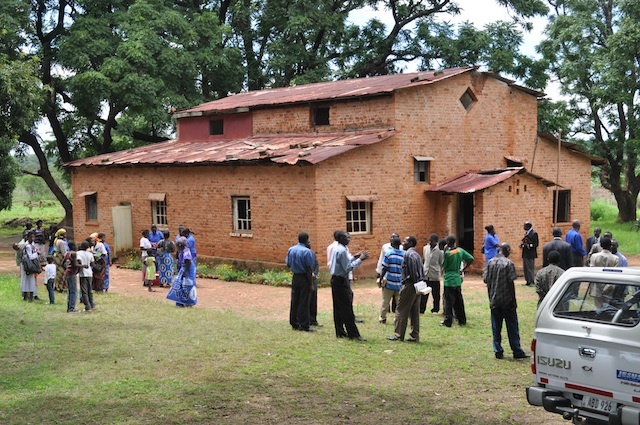 The first Baptist church building in Zambia was completed and opened in December 1916. So, in December 2016 it will be 100 years old. The SBHS executive committee, on which I sit, was proposing that we organise centenary commemorative activities at Kafulafuta Mission on that occasion. Our goal was to raise K150 million ($30,000) between 2012 and 2016, i.e. K30 million ($6,000) per year. Then we would hire a contractor to refurbish the building and the gravesite in time for the commemorative activities in December 2016. Thankfully, the project was adopted by the AGM. One last item worth mentioning on this post was that before the AGM ended, two individuals were remembered for their service among Baptists in Zambia. The first was Percy Chisenga, who had gone to be with the Lord on 29 February 2012. He had planted three churches, with the last one being in Malawi. The second was a couple, Franklin and Paula Kilpatrick, who had retired from the mission field in the course of last year. They had served with the Baptist Mission of Zambia since the 1970s. The ZBHS expressed gratitude to God for the service these brethren had rendered to the Lord. The challenge now is for us as Baptists in Zambia to put our shoulders to the wheel. 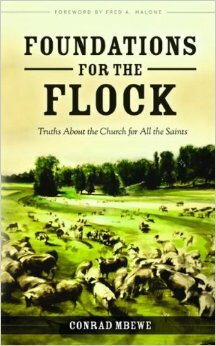 The ZBHS should not be a once-a-year affair but should work towards the preservation of the history of Baptists in this country. The project that has been adopted will go a long way in this respect, but it will demand a lot from all of us. If we can restore the state of the old battered flagship of Baptist work in Zambia, we will show that the ZBHS is truly a living force among us. May the Lord help us to put our money where our mouths are! I've started reading through Trekking in South Central Africa it makes for good reading and shows we have a great history and heritage as baptists. 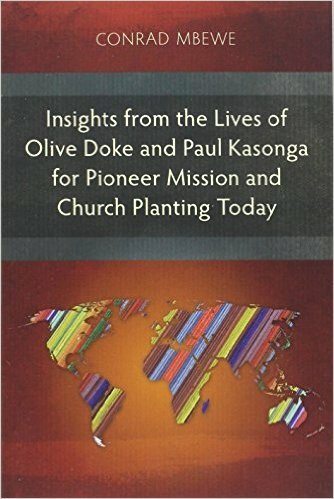 Do the baptists have any works(church planting or missionaries) going on in Mwinilunga? As ZAFES-CBU we'l be taking the Gospel to Mwinilunga and would want to live names of people spoken to faithful men. Great hearing from you, Kondwelani. I have no idea what Baptist work may be taking place in Mwinilunga--if any. I hope someone reads this before you get there and gives you some information. I have written a short biography of Olive Doke, the sister to Clement Doke. It is still only in photocopied form but it is an outstanding biography that can stand side-by-side with that of William Carey, after whom she was named. Her full names are Olive Carey Doke. 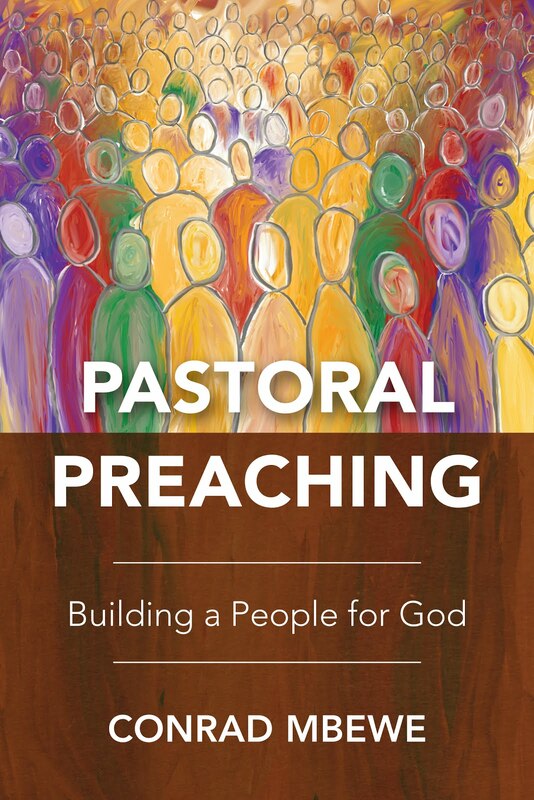 You must get your copy from the Evergreen Bookstore at Kabwata Baptist Church. Travel well to Mwinilunga. May you go in the power of the Holy Spirit and bear much fruit to the glory of God!